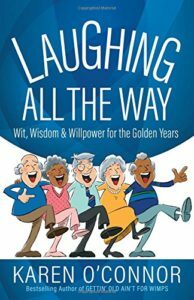 Laughing All The Way by Karen O’Connor is a highly amusing look at life as we get older. With scripture references and a focus on God, it has much wise advice to impart. There are 4 C’s covered – new choices, challenges, chances, chapters. 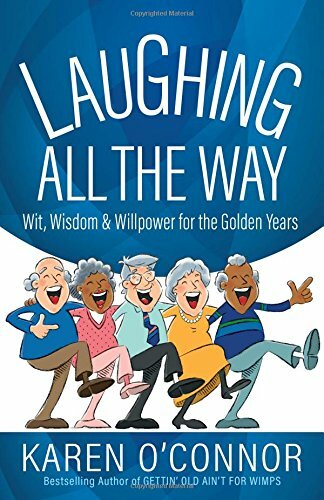 Within each section are anecdotes, advice and each chapter ends with wit, wisdom and willpower. You will recognise yourself in the scenarios. We make choices every day. We are only responsible for our choices, not others. “I’m not held captive to the opinions and choices of others.” We do choose how to respond though. “We can choose to focus on the hurts and disappointments, or we can… see them as opportunities to trust God.” We cannot control the behaviour of others. We must hand their lives over to God. Too often we try to do God’s job – our job is to pray. God’s job is to convict. Do not carry a burden that was never meant for you.